I have a student who LOVES Minecraft. OK, make that MANY students who love Minecraft, but one in particular who is struggling with a class and who is getting down on the fact that school is sometimes hard. I thought it would be a great idea to help by having a visual aid with steps to remember in math. We also have a feelings chart we use to help the student document emotions. 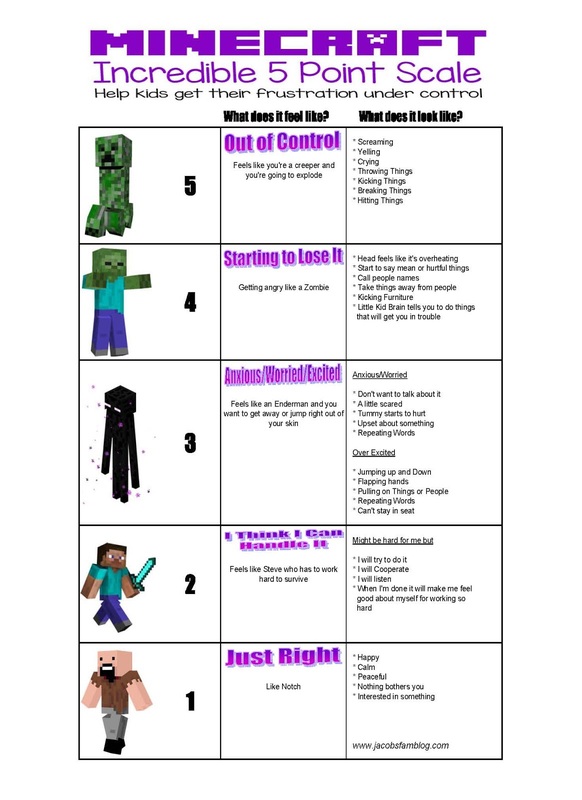 Our school social worker found this 5 point chart that I think will be a bigger hit due to our student's love of Minecraft. Here is the link so you can download it and customize it for your own use. In addition, I wanted to make sure that since my student is struggling with math, and is beginning to shut down, that we focus on mindset so we stop dwelling on the fact that we got something wrong, but we shift the focus to feeling good about ourselves when we persevere and work through the problem. 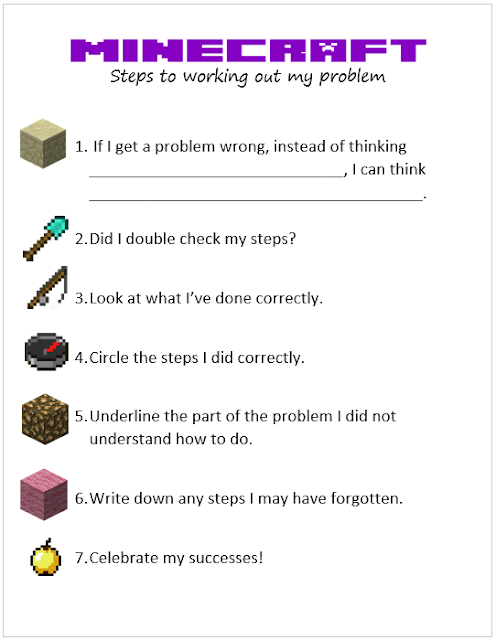 I came up with this sheet to help her remember to work through the problem and not give up. I have not shown my kiddo these new building tools, but I plan on doing so tomorrow. I really hope she loves them and that they help. Have a great idea for helping students? Leave a comment below or share it with a group below! These strategies would bring a new start with www.bestessayservicereviews.com in the lives of the students and they can all use this strategy for the betterment of the others. 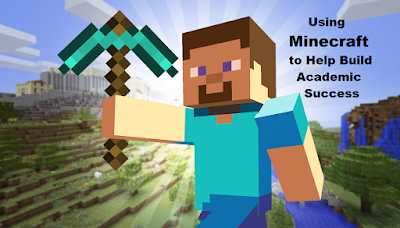 Using Minecraft strategy when writing essays online is a great innovative approach in e-learning. That is why I guess it is the most effective learning practice. Using the mind craft for the building of the thoughts and ideas is pertinent and significant. The measures of the times are taken in good manner. The essay writing are invoked and utilized.